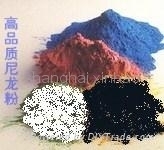 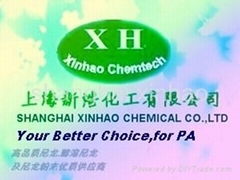 Shanghai Xinhao Chemical Co., LTD.
SHANGHAI XINHAO CHEMICAL CO., LTD is a enterprise of science and technology, industry and trade company, have many years of accumulated expertise, specializing in producing and researching engineering nylon, high-performance nylon(PA11/PA12), Alcohol -soluble nylon,co-polyamide, nylon powder(PA 11 powder,hot-melt polyamide powder), special nylon and modified plastic products, sales and agents at home and abroad well-known enterprises of plastic raw materials and other chemicals。 We have a professional laboratory, equipped with advanced testing equipment and a well-trained technical team. 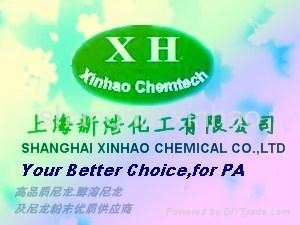 Relying on advanced production technology of nylon and experienced R & D team, together research institutes, ongoing product innovation, has always been our customers first, provide customers with the best cost-effective products and provide customers with personalized technical services and solutions , together with the client to forge ahead and create a better tomorrow. 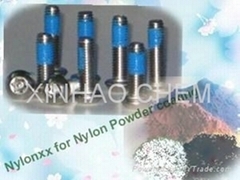 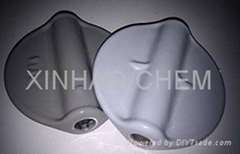 Product is currently the main scope of business has long satisfied Adams (Nylonxx ®) series alcohol-soluble nylon, copolyamide , long carbon chain engineering nylon, modified reinforced nylon, nylon powder, modified engineering plastics, and other fine chemicals.